Sea, Sand & Sky: Sea Bass and Cunner and Sand Raking! Thursday was a really fun day for me and an exhilarating to say the least! The day began as usual setting up fishing rods and etc. In the morning it was all nice and relaxing morning. Not to many clouds in the sky. It was pretty good. However later on We had a family come over and asked if they could fish which we happily said yes. 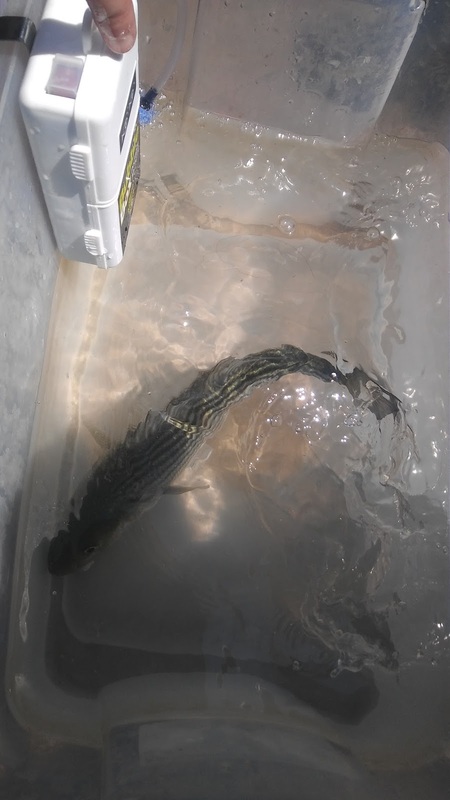 They were actually at it for a while, but there patience paid off and had reeled up a 13 pound striped bass! We haven't caught a catch like that in a while. Even though before we caught some cunner on fishing rods and in the crab traps. 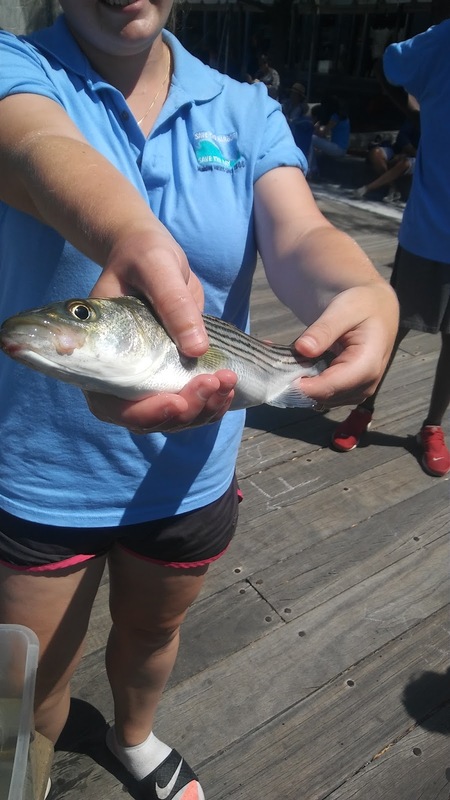 They were pretty big as well but I can say that the striped bass was definitely the number 1 catch of the month. Friday was a different change of pace. Most of the staff were at MLK so it was Me, Edward, Garret, and Zach. Afterwards we had to go to Carson beach for sandraking with some kids from the South Boston Neighborhood House. It was nice and I also got to know some kids and what they like. I enjoyed it and I know they did too. Can't wait to do more fun activities similar to these past week!